Lately I’ve been craving tapioca. A lot. Coconut tapioca, to be specific. 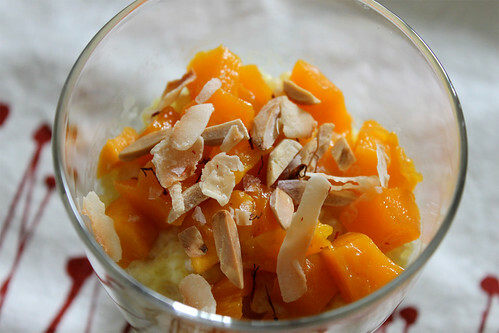 I have a recent dinner hosted by a friend to thank for this hankering, as coconut tapioca was part of that night’s menu. There’s just something so comforting about tapioca. It’s something that brings me back to my childhood, when I would be delighted to get a bowl of coconut milk and tapioca dessert soup after a Cantonese dinner out (rather than the usual standard of red bean soup). And on occasion, my mom would make this incredible baked sago (what we liked to call tapioca) pudding—super eggy, super rich, and super delicious. Then last week, I had the brilliant Shole Zard dessert at Richmond Station—a Persian saffron pudding. It was ethereal and subtly sweet, with beautiful floral notes from the saffron. I was instantly in love with this dessert, and had been thinking about it ever since. 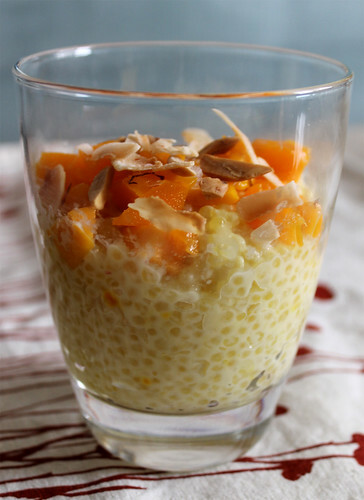 This tapioca pudding combines the best of both worlds—coconut and saffron. You get that richness from the coconut, and the floral delicateness from the saffron. Not to mention to gorgeous colour! 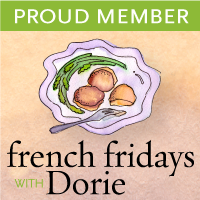 Don’t skip the fleur de sel. It really helps bring all the flavours together and brings the pudding to the next level. I especially love to eat this pudding while it’s still warm and super creamy, but the leftovers are equally delicious cold! Place the tapioca pearls and cold water in a medium bowl, and let soak for 2 hours. In a medium saucepan, combine milk, coconut milk, sugar, and saffron and bring just to a boil over medium heat, stirring to dissolve sugar. Remove the milk mixture from the heat, and let the saffron steep for 10 minutes. Pour the milk through a sieve to remove the saffron, and return the mixture back into the saucepan. Return the milk to just a simmer over medium heat. Drain the tapioca and add to the milk. Stir continuously until tapioca is tender and translucent, about 4 to 5 minutes, and begins to thicken. Stir in the cornstarch slurry, and heat for another minute. Remove from heat and serve immediately, garnished with mango, toasted pistachios or almonds, toasted coconut, a couple threads saffron, and a sprinkle of fleur de sel.